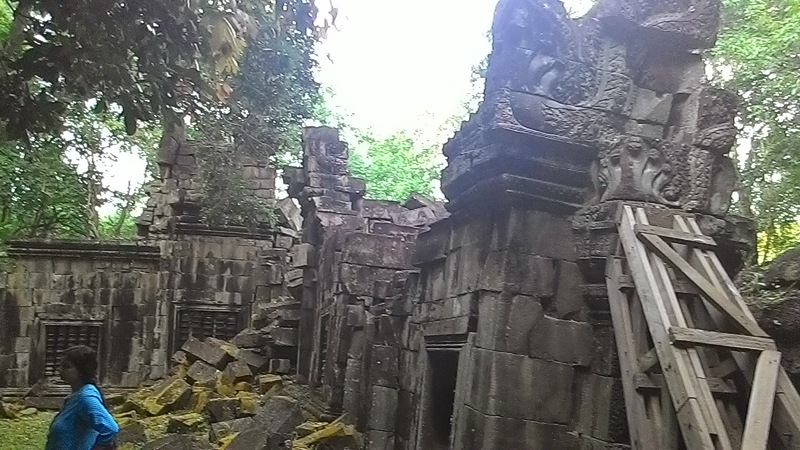 Angkor Archaeological Park contains many magnificent remains of Hindu and Buddhist temples. 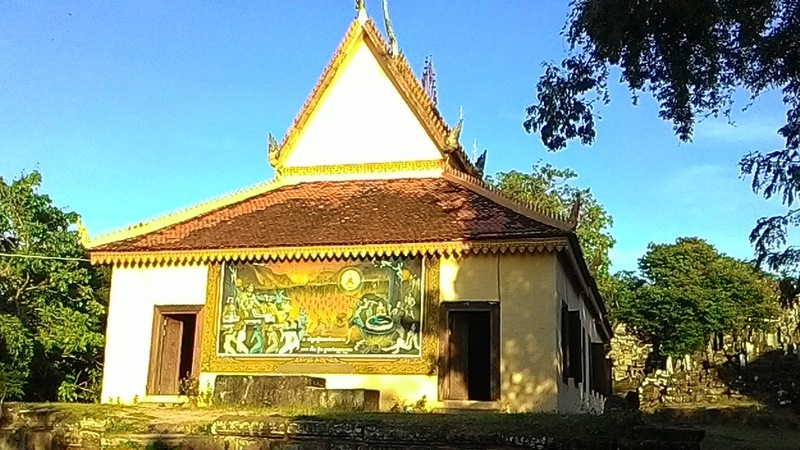 Most of the temples was built between 9th to the 15th centuries. Angkor Archaeological Park was declared a UNESCO World Heritage site in 1992. 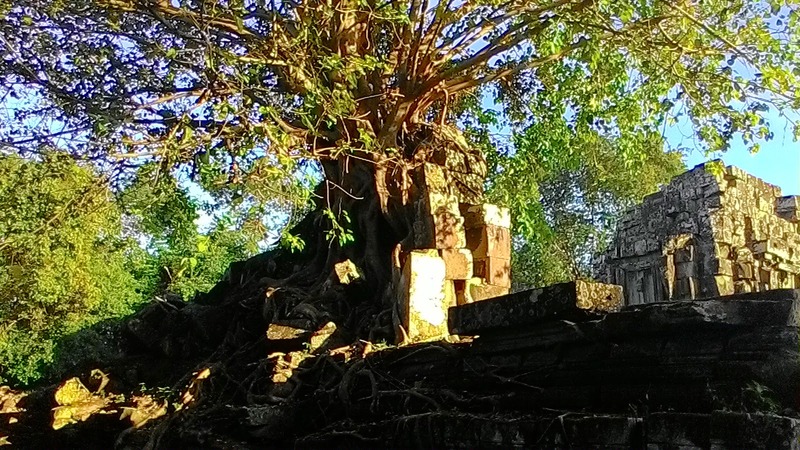 Most famous of all is Ankor wat and it is considered to be biggest man made structure of the past. We arrived siem reap airport from Singapore in the morning. Siem reap international airport is small but gives a first impression of Khmer architecture to the visitors. The airport is currently going under renovation and up gradation. Siem reap is short distance from airport and after spending sometime in hotel we headed for our first day excursion. We hired an experience guide San Park and he made our tour very comfortable. After buying tickets for three days for $40 we headed to see rolous group of temple. 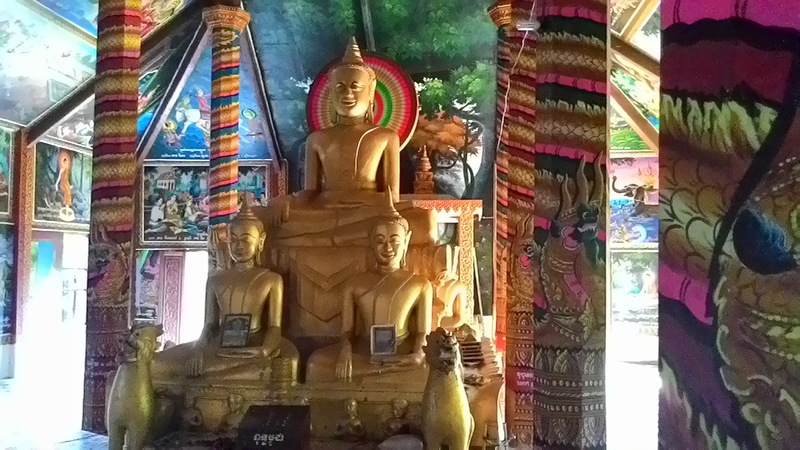 Rolous is a small town and short distance away from the Siem reap. 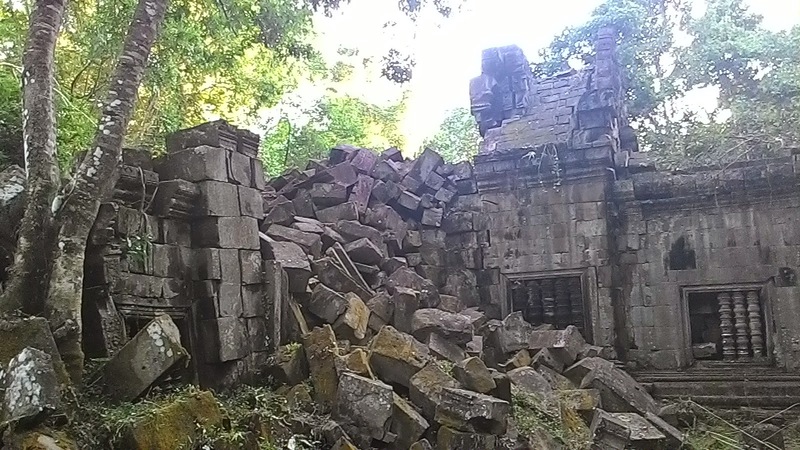 Bakong, Lolei, and Preah Ko are called rolous group of temples. All of the temple were dedicated to Hindu god Shiva. Most of the structures are made of bricks and sandstone. Our guide suggested us to see one of the rarest visited attraction before ending the tour for the day. 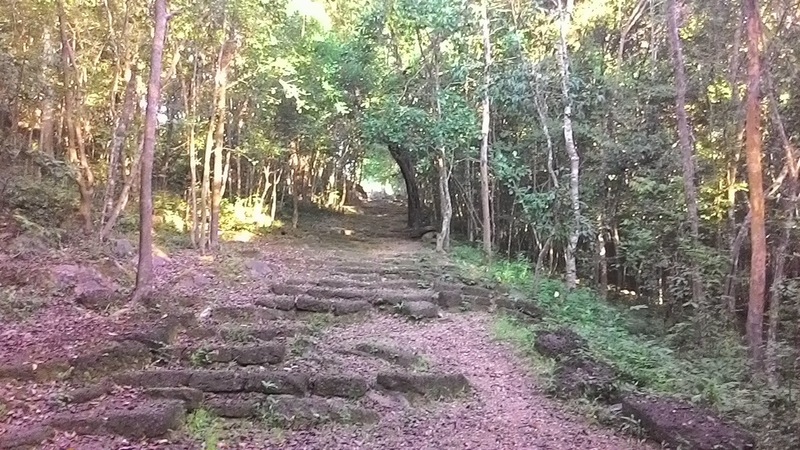 chau srei vibol was bit far from rolous and a long walk through jungle. I did not see any other person expect my wife ,me and our guide in entire jorurney, which made my wife little scared. 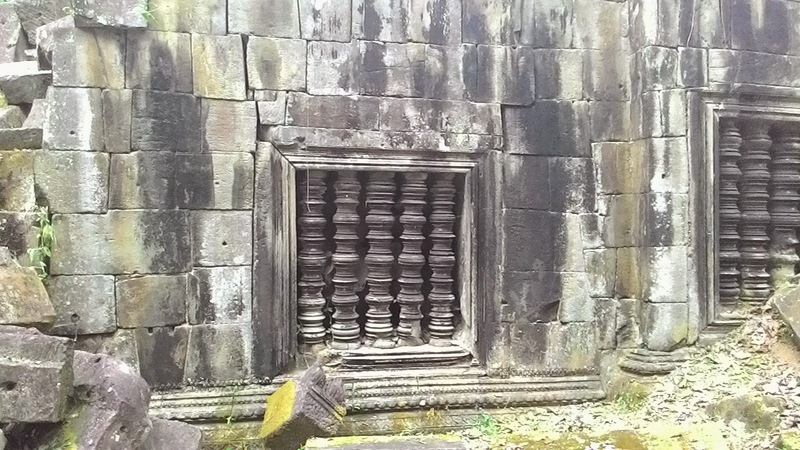 Surrounding jungle and terrain gives the ruins of chau srei vibol an unique eerie look. 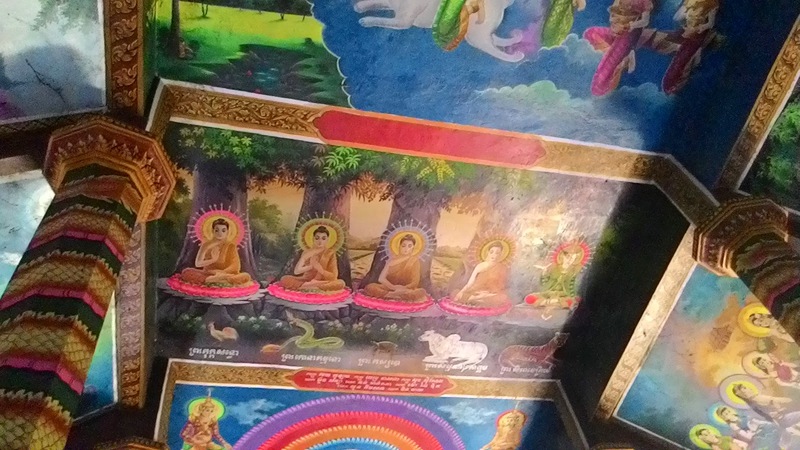 There is beautiful Buddhist temple adjacent to the ruins with paining all over the wall and terrace.